Masonry is the world's first and largest fraternal organization. It is based on the belief that each man can make a difference in the world. 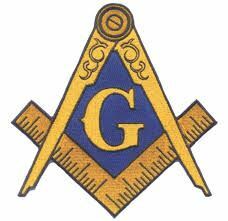 There are approximately 5 million Masons worldwide, including 2 million in the United States. The Grand Lodge of California has nearly 80,000 members and about 350 Masonic lodges statewide. Masons value and promote helping others, respecting others' opinions, and personal growth and development. Masons know there is more to life than pleasure and money. How did Masonry get started? Masonry dates back to the guilds of European stonemasons who built castles and cathedrals during the Middle Ages. Temporary buildings called lodges were built next to the cathedrals, and the masons used them to meet, receive their pay, plan their work, train new apprentices, and socialize. Since the work of stonemasons was inherently dangerous, the lodges were also used to care for the sick and injured members, as well as the widows and orphans of those who were killed on the job. Freemasonry is a fraternity based on the belief that each person has a responsibility to help make the world a better place. Through personal development, philanthropy, and community service, the fraternity lets men associate with other men of honor and integrity who believe that honesty, compassion, love, trust and knowledge are important. Masons believe in the importance of religion: men of all faiths are members of the organization. Freemasonry celebrates ethnic diversity and welcomes men of all racial backgrounds. One of Masonry's customs is not to solicit members; men must seek membership on their own. A prospective candidate must express interest in joining by contacting a Mason or a local lodge. A candidate will then be introduced to officers who will help him gain sponsors and give him an application for membership. Once the application has been submitted, a committee will meet with the candidate to answer questions and get to know him. The committee then reports to the lodge and votes on the candidate's membership.